Messier 68 is located about 33 000 light-years from Earth in the constellation Hydra (The Female Water Snake). In this space wallpaper, Messier 68 is located about 33 000 light-years from Earth in the constellation Hydra (The Female Water Snake). French astronomer Charles Messier notched the object as the 68th entry in his famous catalogue in 1780. 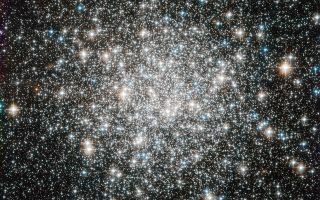 The image was taken by Hubble’s Wide Field Camera of the Advanced Camera for Surveys and combines visible and infrared light. It has a field of view of about 3.4 by 3.4 arcminutes.